Betfair is a betting site where you can do betting on live casino, poker, arcade, bingo, pool betting and exchange games. To enjoy it you must create your account and use. If you have account and forget your password or you want to change password then here are the steps for you. To reset and change betfair password steps are given in two different headings below. 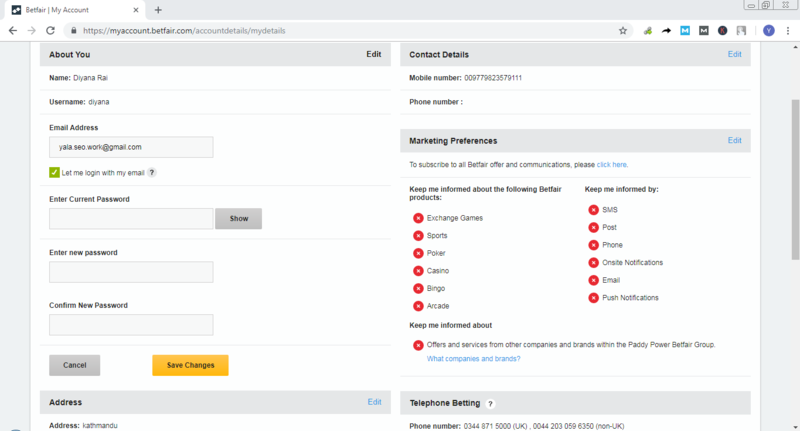 To reset betfair account following are the steps. Open the browser and type betfair.com then open the page. Click on “Forgot username/password” which is just below of the place where you enter your user name and password to log in your account. New page will appear where you have to enter your user name and click on “Check” which is in black color box. If you want to receive reset link through mail then click on “Email to …” or if you want to receive through SMS then click on “SMS to …” your number. Select any one of them. We are going through mail so you will receive mail. 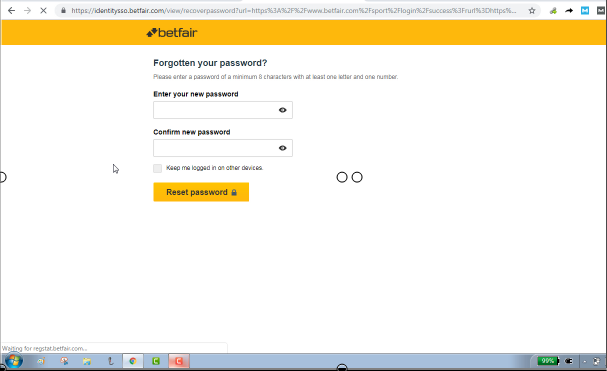 Open the mail sent by betfair and click on “Reset My Password” which is in yellow color box. To reset your account you must select the date of birth and answer the security question that you have answer while making account. Remember your answer must be same. Then click on “Continue” which is in yellow color box. Enter your new password and to confirm your new password enter it again. Click on “Reset password” which is in yellow color box. Open the browser and open the page of betfair. Click on “My Account” downward icone which is on the top of the page to the right side. Then click on “My Betfair Account”. Go to “My Details” and click on “Account Details”. New page will appear with different headings like about you, address etc. You find “Edit” to the right side of every heading. Go to the “about you” heading’s edit and click on it. Enter new strong password and to confirm it type it again. Click on save change which is in yellow color box.Your password has been changed. Hence in this way you can reset and change betfair password easily. This entry was posted in Account Reset Password and tagged Betfair Password Change, Betfair password reset, Change betfair password, Forgot Betfair password, How to change betfair password, How to reset and change betfair password, How to reset betfair password, Reset and change betfair password, Reset betfair password on October 7, 2018 by jcgbyHvNvn.